In this Klymit Static V Luxe Insulated Sleeping Pad review, you can read about an advanced inflatable sleeping pad which offers comfort and protection in all seasons due to its Primaloft insulation and unique Body Mapping Technology design. Klymit Static V Luxe Insulated Sleeping Pad. 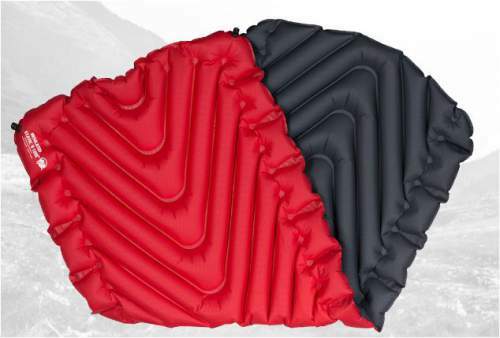 This is an inflatable and insulated rectangular pad which comes with Klymit’s unique design and with Primaloft insulation. As the name suggests, this pad is exceptionally wide and quite long. The first thing you will notice, apart from its size, are those V-chambers which are there to help to trap air and keep you warm. You also have short horizontal side baffles (side rails) which are there to keep you situated on your pad, and they also give some flexibility if you use this pad in a sleeve of a sleeping bag (there are such bottomless bags available on the market). They also inhibit air movement while tossing and turning. 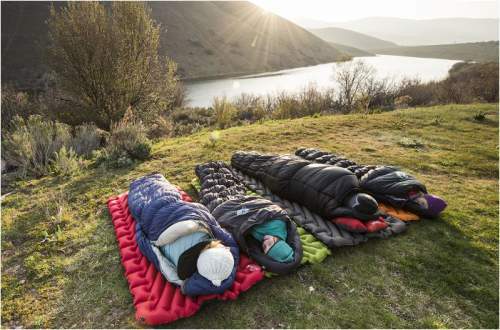 Klymit Insulated Static V Luxe sleeping pad offers protection in all seasons. The pad inflates with 20 – 30 breaths and for this, you have the Twist-Pull Valve system in place, with two valves which can be open together when deflating the pad, and can also be used by two people in the same time to inflate the pad. The system allows for an easy inflation, and it opens wide for a rapid deflation. As the name suggests, there is a mechanism which creates a secure seal and prevents inadvertent opening. To inflate, you have to twist the valve and pull on it (hence the Twist-Pull). You will hear the air getting out, so this is not a one-way system like the one you have in the Exped pads and you have to counteract the air with your lungs or to use the push-pull feature to close it in order to make breaks. The term Luxe refers to its size, this is a huge pad, 76 x 30 x 3 inches (193 x 76 x 7.6 cm). The letter V refers to the shape of its baffles, see the picture below. As for the term Static, I do not think it has any deep meaning except to distinguish it from what they call Inertia Pads concept, an ultra light body map type where the pad supports the body only in the area where it touches the body, and the material is removed from other places (this is a totally ridiculous concept if you ask me, there are no many people who would sleep like frozen without moving all the night). So such pads are with numerous holes it in, see yourself here. V-shaped baffles and different bottom and top colors. I have seen at various places this pad described as ‘super light design’, the same is in the Klymit site. I must say that 35 oz (992 g) does not look so super light to me. However, particularly durable materials are used here, no less than 75D polyester. In the comparison table below, you will be able to see how different this is from its competitors. So this is a rugged material which provides a superior tear, puncture and abrasion resistance with a still reasonable weight. 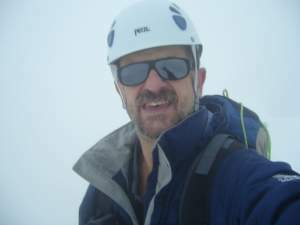 You have synthetic Primaloft Eco insulation used here; it is lightweight, compressible and durable. The word Eco here implies that it includes 60% of the recycled materials in its production. PrimaLoft insulation is known for managing moisture well. It absorbs water just a couple of percents of its weight. This means it dries quickly and it also retains its insulation feature even when becomes wet. What you have here are ultrafine fibers which trap the air and are in the same time very compressible; this pad compresses to only 10 x 5.5 inches (25.4 x 13.9 cm). This material is created as an alternative to down. PrimaLoft is with a very soft drape, and the drape is its ability to shape itself to whatever it surrounds. You can read a bit more in my separate text. In this design, the V-shaped baffles are smaller as compared to the usual longitudinal design, so the air is prevented from moving long distances, and as they claim, this is better for insulation. An antimicrobial treatment is used, so it permeates the inside laminate and it inhibits the growth of microorganisms, and fungus and bacteria which cause odors and material damage. You have a storage bag designed specifically for this pad, and in the same red color. It provides protection in transport and allows for maintaining compactness of the pad. Included also is an emergency repairs kit, with patches that come stored in a small integrated pocket on the top of the pad’s storage bag. From the specifications below, you will see that this pad is quite heavy. But it is durable and it gives a lot of comfort, it is quite thick and enormously wide and long. In view of this, it does not look so great as a backpacking tool, but it is an ideal tool for any other outdoor activity, like hiking, short mountaineering and climbing tours like those we have in the Alps, or for practically any other purpose. You will see in the descriptions of this pad that it uses the so-called Body Mapping Technology. This implies that you have more padding and support where your body needs it, while in the same time eliminating materials where there is no need for them. In the V Chamber Body Map used in this pad, the V-shaped design delivers superior support and comfort regardless if you sleep on your side, stomach or back. The V-shaped baffles are coupled with integrated side rails in order to prevent air from shifting from one chamber to chamber. This gives a uniform and consistent support at all points of contact. The size of this pad is a bonus indeed, and if you plan to use it in a solo tent, you should have no issues with the space in the tent. But bear in mind its width if this is about two people in a 2-person tent. Take as an example this Mountainsmith Morrison Evo 2 Tent which is 142 cm wide or this MSR Elixir with 127 cm. No options to choose the length. There are so many great things about this pad and I have listed a few, but I must point out its weight which is not the best feature of this pad. Related to this, I dislike the fact that they do not provide more options for length. This would give you the chance to shed the weight; for example, I am short but I am a stomach sleeper and I move a lot, so I need a wide pad but not necessarily a long one. Customers’ experience with this pad is exceptionally great wherever you check. On Amazon, the average rating is very high, no less than 4.7/5. based on more than 70 reviews. See below my own rating. Best use: hiking, mountaineering, camping, backpacking. Weight: 35 oz (992 g). Dimensions: 76 x 30 x 3 in (193 x 76 x 7.6 cm). Packed size: 10 x 5.5 in (25.4 x 13.9 cm). V Chamber body map optimized for comfort. *The comparison is for LW size. ¹This is at the moment of writing this text, please follow the links to check for updates. If you are a tall person, you would have no choice but to buy something long like the Klymit pad, but as you realize, this pad is quite heavy. Now, the weight is due to its size but also due to its durable fabric; not many pads in this class have such a strong material. So if the weight is an issue, one good alternative is the Long/Wide (LW) option from the Exped pad in the table, which is 77.6 x 25.6 x 2.8 in (197 x 65 x 7 cm) and its weight is 21 oz (595 g). But the Klymit pad price is only $120 as compared to $170 for the Exped pad. This is then the matter of purpose; if you need a pad for backpacking, you would go for some lighter pads regardless of the price. 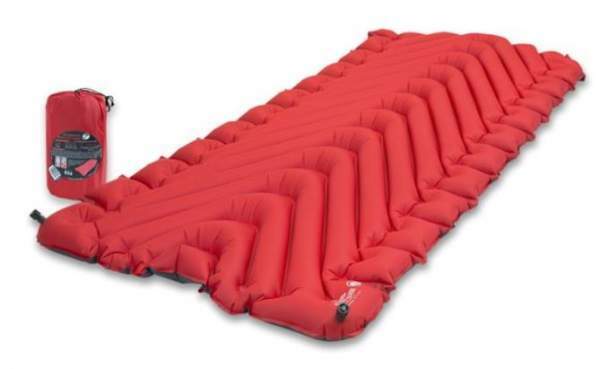 Note also that the Big Agnes pad is even longer, yet it is lighter, and the prices are comparable. So to conclude this Klymit Static V Luxe Insulated Sleeping Pad review, this is a great pad from a renown brand, I trust their products and I can warmly recommend this pad. There is a lot of technology behind its design, so if this is not about backpacking, this may be a right tool for you. Not many pads on the market can provide such a comfort as this pad. If you need a 3-season version, please check my text about Klymit Static V Lightweight Sleeping Pad. Note that they also have a Double V pad for couples. Klymit is known for its exceptional designs, high-quality tools, and the best possible corresponding prices. You can realize this from the links given below. You might want to compare it to the new Therm-a-Rest Trail King SV pad with similar V-shape baffles. Check also the Exped MegaMat Lite 12 inflatable pad which is a backpack portable item. Thank you for reading. I hope this text has been useful to you. If this is so please share it with others. In the case of comments of questions, please use the comment box below. I wish you a nice day.